You don’t know, or you don’t want to know? 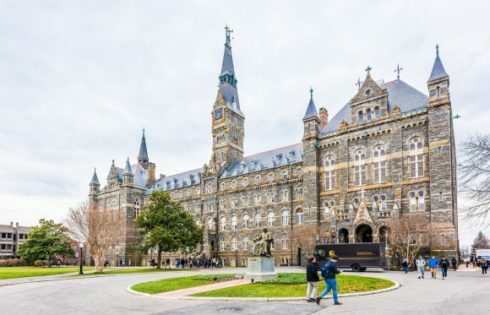 At a time when some universities are reluctant to identify themselves as “sanctuary campuses” where illegal immigrants are safe from deportation, the nation’s largest Catholic university is rolling out the red carpet for undocumented students. DePaul University President Dennis Holtschneider sent an email to the campus community last week assuring students that it is willfully ignorant of which students are in the country illegally. Fr. Holtschneider also reminded students without papers of all the financial resources available to them – from DePaul and elsewhere – precisely because they aren’t legal residents. 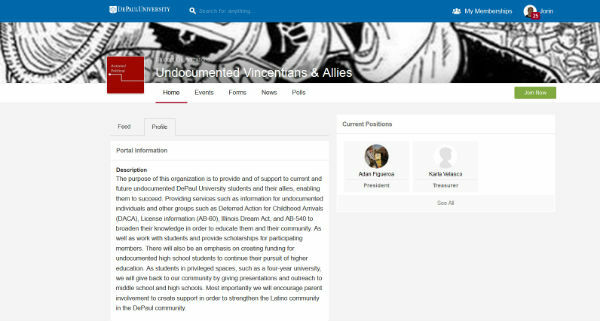 DePaul wouldn’t have to look hard to verify the status of at least some undocumented students: Two campus groups specifically represent such students and their identities are visible on pages accessible to the administration. DePaul’s clear pro-illegal position stands in contrast to another private school nearby, the University of Chicago. The Chicago Maroon reported that a university spokesperson declined to say it was a “sanctuary campus” or even promise that the administration would limit cooperation with federal immigration authorities. 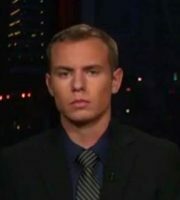 Illegal immigrants enrolled in college are concerned by President-elect Donald Trump’s threats to end illegal immigration and withhold federal money from “sanctuary cities” such as Chicago, Philadelphia and Los Angeles. Such students could be deported if Trump reverses President Barack Obama’s Deferred Action for Childhood Arrivals (DACA) executive order. “[W]e will keep our commitment to undocumented students who choose this university for their education,” Holtschneider writes in the message, which does not appear to have been posted to any DePaul webpage or social media. 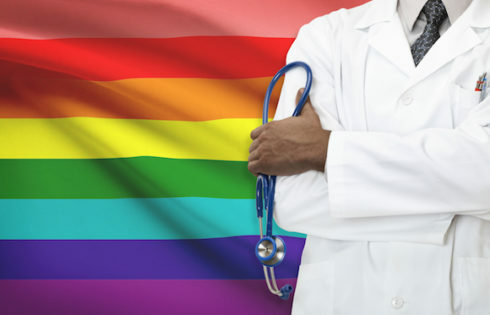 Holtschneider’s email goes on to list some of DePaul’s “extensive” resources for illegal students, including free legal help, counseling and information on how they can acquire health insurance, scholarships and financial aid. "You are safe, you are secure and you are supported." The president’s recent message in favor of lawbreaking notwithstanding, a quick browse of its website reveals DePaul has previously gone out of its way for illegal students. 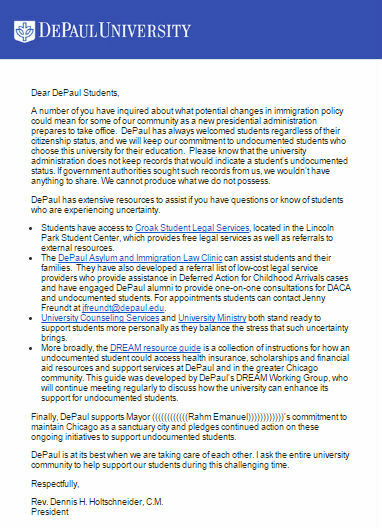 Sometime in the past 11 months, DePaul added a page titled “Resources for Serving Undocumented Students” to its Immigration Services page. A Jan. 30 screenshot of the Immigration Services page does not include any mention of undocumented students; instead, it is focused on foreign nationals. “Resources for Undocumented Students” features DePaul students holding signs that read “Education NOT Deportation” and a short film called Undocumented that was produced by the College of Computing and Digital Media School of Cinematic Arts. 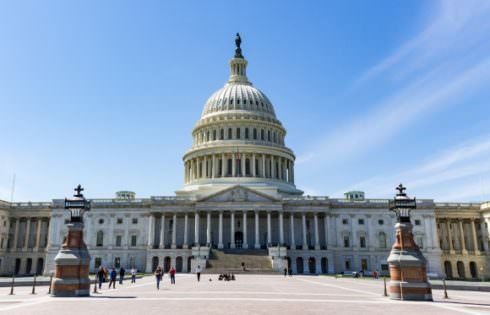 The page does not limit itself to those students qualifying for Obama’s DACA program. Another page under Immigration Services links to a list of scholarships for illegal immigrant students on the website My Undocumented Life. While Holtschneider claims that DePaul is in the dark about students’ immigration status, some students have outed themselves. 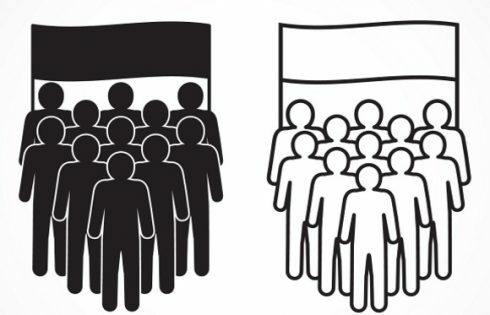 The university has two student organizations for illegal immigrants, Undocumented Student Movement (USM) and Undocumented Vincentians & Allies (UVA), which refers to the Vincentian order to which DePaul belongs. This is an organization by undocumented students for undocumented students. Our mission is to support each other by providing resources, advocating for each other’s rights, creating events that pertain to the meaning of being “undocumented,” all while embracing our culture and celebrating our successes so far. 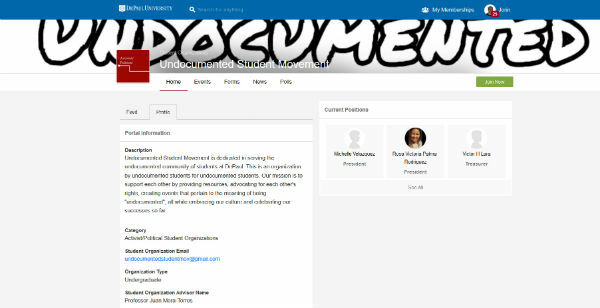 Its officers apparently identified themselves by posing for a photo posted on its Facebook page, and three of them are identified by name on its public student organization page. Yet DePaul doesn’t have to stop with just club officers. 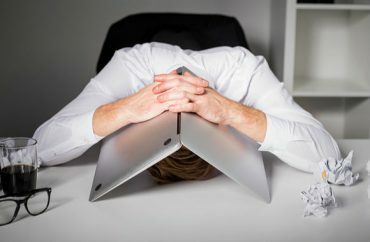 Because full club rosters on student organization pages are visible to university administrators, it could quickly identify students who have admitted they are in the country illegally. Though UVA’s member list is public on its Facebook page, its inclusion of “allies” means the administration would have to dig a little deeper to confirm a given member’s status. Unlike sanctuary cities, universities have limited ability to shield lawbreaking students from law enforcement. But they put themselves at risk of being held accountable for aiding and abetting criminals. DePaul’s administration is likely hedging its bets on Chicago being able to keep the feds at bay, but it may have to change its tone if President-elect Trump cracks the financial whip on sanctuary cities.